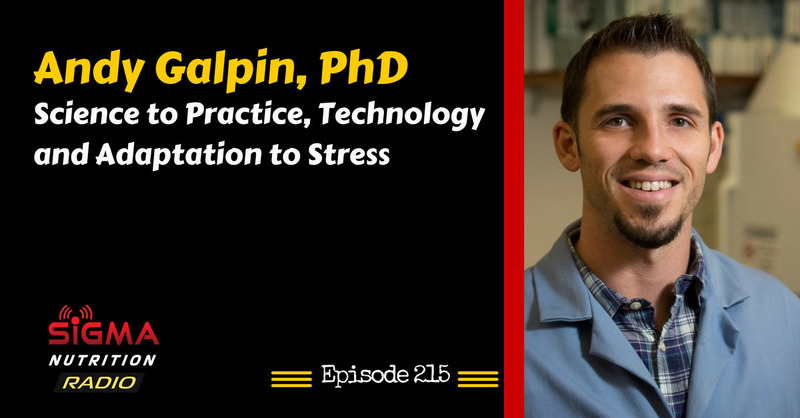 Episode 215: Dr. Andy Galpin of CSU Fullerton talks about blending evidence and practice, as well as the potential beneficial and detrimental roles of technology for making training decisions. Andy is a tenured Professor in the Center for Sport Performance at CSU Fullerton. 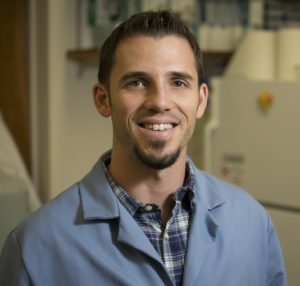 Andy spent 4 years studying the structure and function of human skeletal muscle at the single cell level, a feat which earned him a PhD in Human Bioenergetics in 2011. This also resulted in the friendship with frequent collaborator Dr. Jimmy Bagley and the ability to open up his own “Biochemistry and Molecular Exercise Physiology Laboratory” at CSU Fullerton. He now focuses his attention on teaching classes (Sports Nutrition, Exercise Physiology, Designing Exercise Programs, Applied Strength and Conditioning, Athlete Assessment and Measurement, etc.) and running the BMEP lab (which studies the acute responses and chronic adaptations of human skeletal muscle in response to high force/velocity/power and fatiguing exercise from the whole body, down to the individual muscle fiber and even into the individual DNA. The team does this by taking muscle biopsies from non-athletes and elite athletes from different backgrounds (e.g. normal college student, MMA fighter, Boxer, Weightlifter, etc.) and use highly sophisticated laboratory techniques and equipment to address questions about single fiber “type”, size, function, protein quantity, diameter, mitochondria, and myonuclear function. This episode is brought to you by Health IQ. To see if you qualify, get your free quote today at healthiq.com/sigma or mention the promo code SIGMA when you talk to a Health IQ agent.